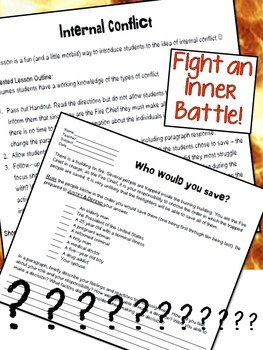 This lesson is a fun (and a little morbid) way to introduce students to the idea of internal conflict. 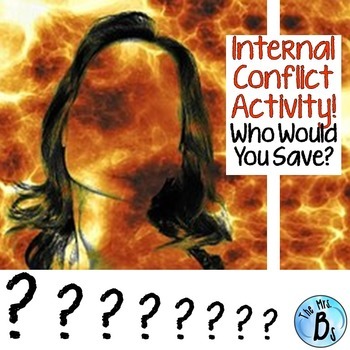 This activity provides student the opportunity to personally experience internal conflict by trying to answer the simple question - WHO WOULD YOU SAVE? Follow-up questions are designed for students to reflect on the activity and their participation in it. Makes for a great class discussion! Perfectly complements the short stories, "The Lady or the Tiger" by Frank Stockton and "The Greatest Good of the Greatest Number" by Gertrude Atherton. Looking for more handouts on CONFLICT? Check this link out!